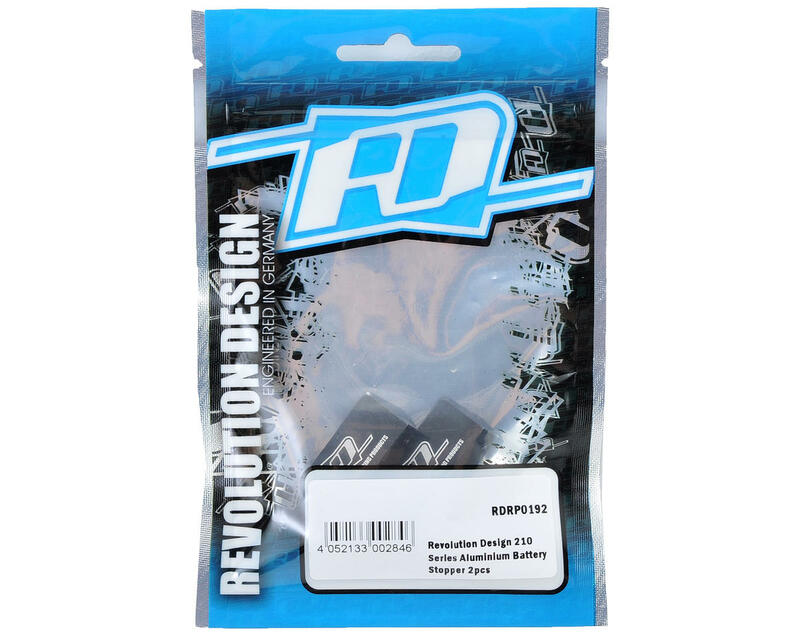 This is an optional Revolution Design Racing Products 210 Series Aluminum Battery Stopper Set. 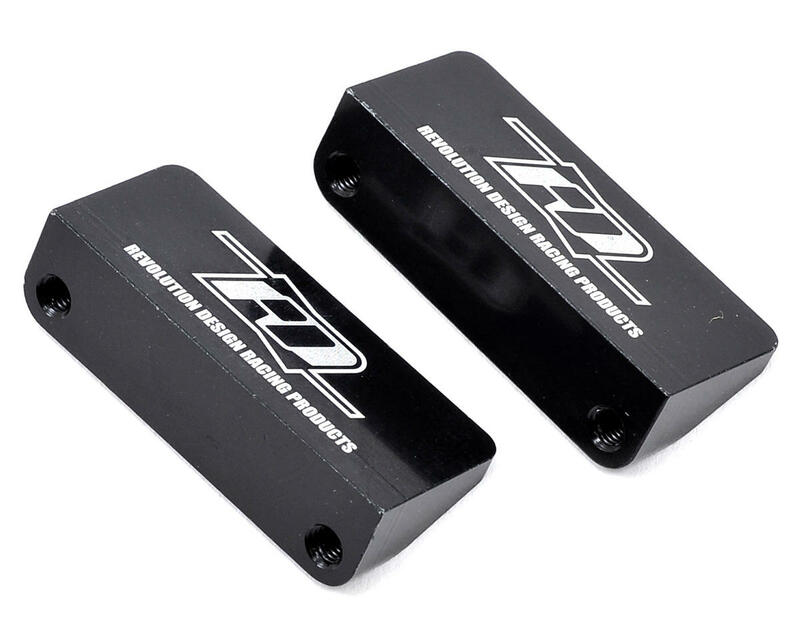 The RDRP Team Durango 210 series Aluminum Battery Stoppers are the ideal replacement for the stock plastic parts. Different from the RDRP0044 Brass Battery Stopper, the alloy blocks are incredibly light weight, making them ideal for everyone who wished to enhance the look of the chassis without changing weight distribution. The stoppers are CNC-machined from aircraft-grade 7075-T6 aluminum, with laser-etched markings and come in sets of two.